Chinese heritage and modern thoughts. 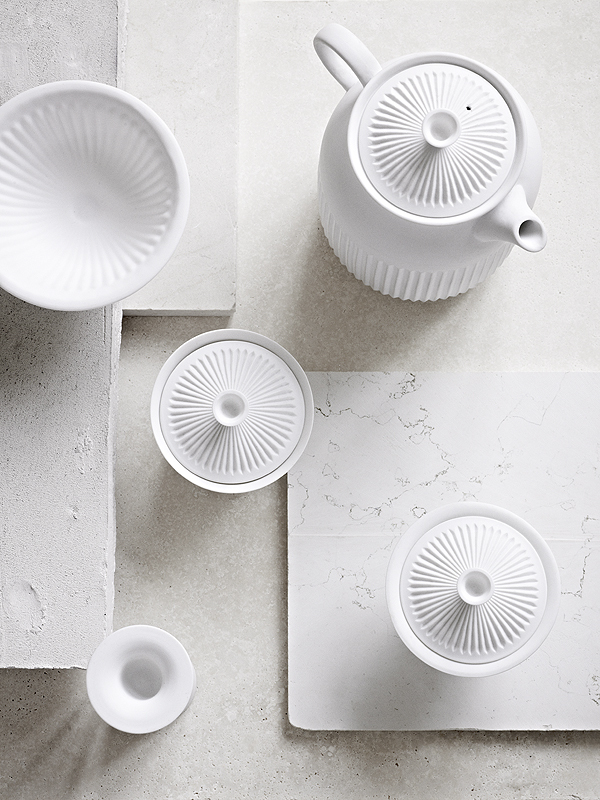 As a part of the 2015 collection Lyngby Porcelain is presenting 4 products in the Tsé series: teapot, candleholder, bowl, and a set of 3 cups. 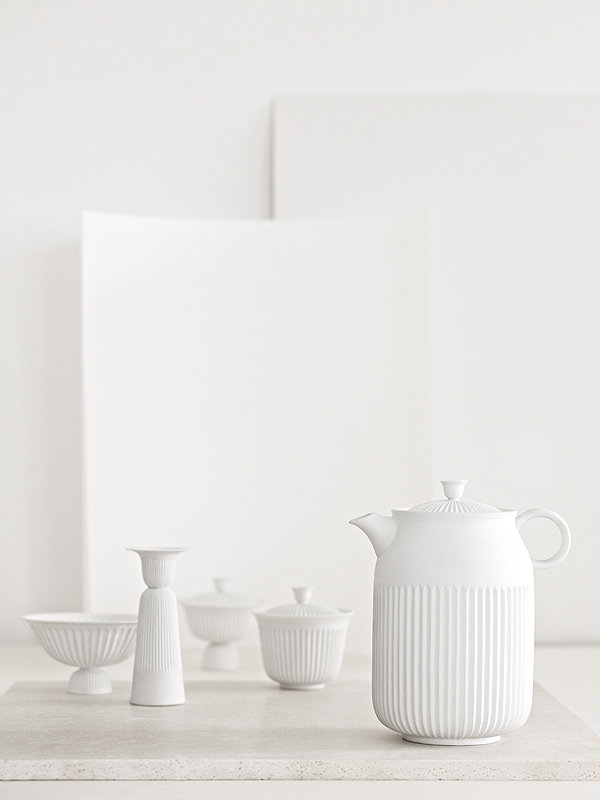 Tsé is a series of refined, lightweight porcelain tableware. The fine and delicate designs came to life through collaboration between Lyngby Porcelain, designer Pili Wu and the Taiwanese Han Gallery. HAN Gallery is based in Taipei, the capitol of Taiwan. Together with a short list of designers worldwide they dig into the rich heritage of Chinese culture. They combine traditional and modern production methods and presents unique works of art. Taiwanese designer Pili Wu (1986) graduated from the Shih-Chien University department of Industrial Design. The cultural significance demonstrated in his work is not one you’ve seen in museums, but the visual art and sensual experience of his own life in Taiwan. The creative direction of Han Gallery is lead by the Dutch designer and innovator, Gijs Bakker, who also contributed with one of his own designs for the Spring 2015 collection from Lyngby Porcelain. Contrasts in materials and shapes. The ribbed pattern on Tsé is inspired by the structure of disposable plastic wares used in Taiwanese roadside restaurants. When the patterns are applied to the fine porcelain the ancient craft is brought into an interesting contemporary context. In the production the porcelain is burned so hard that the products don’t need glazing – instead they are all polished by hand, ensuring a subtle roughness in the texture, which ads another puzzling contrast to the delicate porcelain.